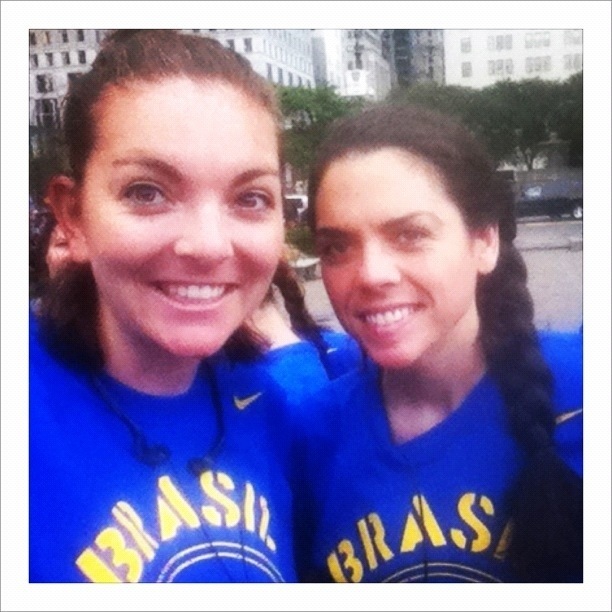 Nike Run Club Part Deux… Brasil! Last night’s Nike Run Club held a pleasant surprise (which hopefully we’ll continue to see from time to time…) Perks! When we arrived at the store, all runners (it was a big turnout, despite the ominous clouds) were given Brasil shirts, flags, whistles, facepaint, and a raffle ticket to win two tickets to Saturday’s game. 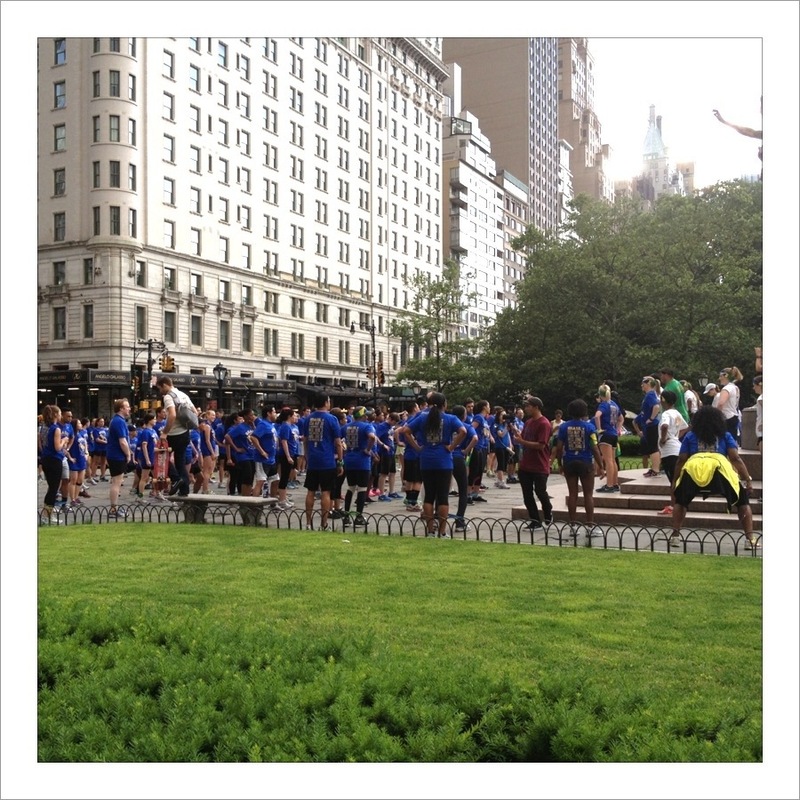 We were already psyched up by the gear and excited by the pack of blue shirts as we stretched together, punctuated by cheers and exclamations as (nike) cameras and videographers snapped shorts of the runners. This was my first “speed workout” with the club– 1/2 mile repeats with an option to run 4, 5, or 6 miles. We split into our respective groups, and the pacers encouraged us to run one group faster than normal, given that the “repeats” were only 1/2 mile, and then we would have another 1/2 mile to jog/recover before sprinting again. My usual pace is around 8:30 so I ran with the 8s, which turned out to be a zealous 7:45… and well… i’ll just tell you. It was awesome! You can’t do an Indian run (when you run in a single file line, with the last person sprinting to the front) without a team, you probably wouldn’t keep your base pace at 7:45 without a front pacer, and you certainly wouldn’t have as much fun without all the Brasil hype and a(n extraordinarily talented) videographer skateboarding alongside you the entire way. I eeked out out 3 repeats which turned out to be about 5 miles (we ran to and from our “repeat” spot on the UES) and could practically feel myself adjusting to the faster base pace.